A cold winter of public art proposal writing means a hot summer of playful urban exploration! I am honored to announce that I am an inaugural recipient of a Rubys Artist Project Grant for my forthcoming participatory video tour series, SiteLines. 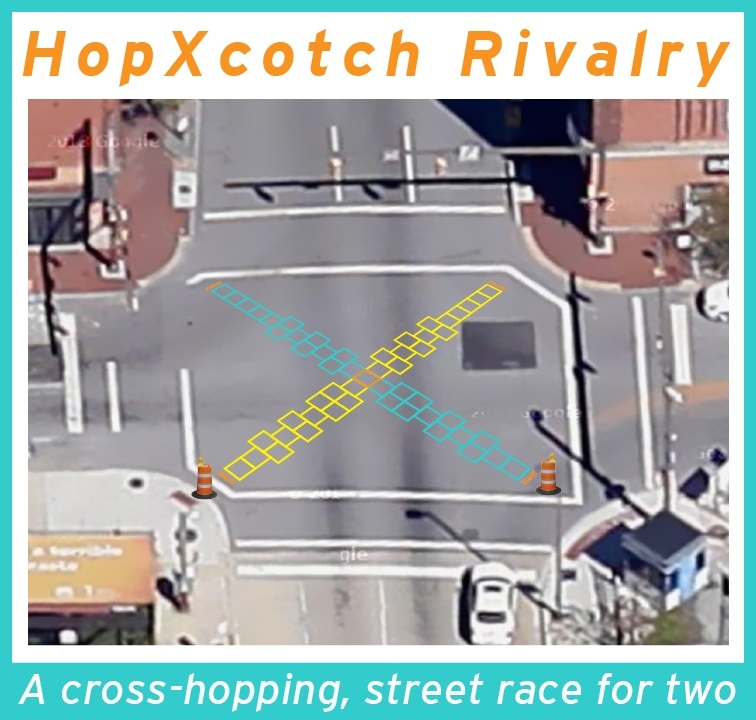 In addition, I will be staging HopXcotch Rivalry as part of the Field Day program at the Artscape festival in Baltimore this July. SiteLines: Radical Tours of New Public Sites! Situated within the invisible sites and overlooked features of our everyday urban environment, my ongoing New Public Sites project tests the boundaries of pedestrian agency, interprets the overlooked and banal, and investigates the negotiable nature of public space. SiteLines will be a translation of my radical walking tours and urban design research into sharable videos and a gallery installation. Feature dramatic shots of public space and pedestrian interactions therein, the videos will present a compelling portrait of Baltimore and its civic space potential. The entire SiteLines season will be be released on the New Public Sites YouTube channel on a periodic basis, then shown at a Baltimore gallery alongside “non-site” sculptures of found materials, an immersive map installation and large posters of poetic New Public Sites nomenclature. As a season of social video and multimedia installation, SiteLines will show local and online audiences how a practice of radical pedestrianism can reinvent invisible public space. SiteLines is being made possible in part by a Rubys artist project grant from the Greater Baltimore Cultural Alliance. Click here to learn more about the Spring 2014 RUBYS Grantees. HopXcotch Rivalry will be two extreme hopscotch courses crossing for one action packed, two person race. 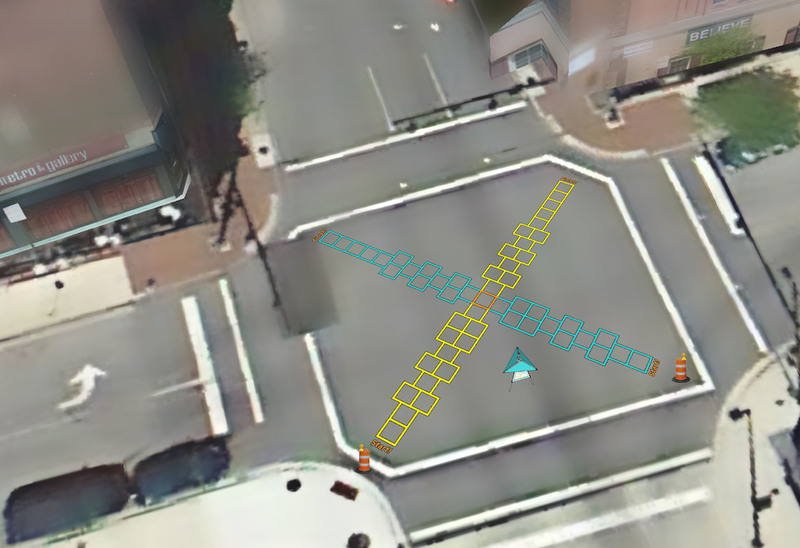 Inspired by the success of my Hopscotch Crosswalks in downtown Baltimore, I’m staging this new project to bring playful pedestrian action to the middle of Artscape’s Field Day programing along Charles Street. 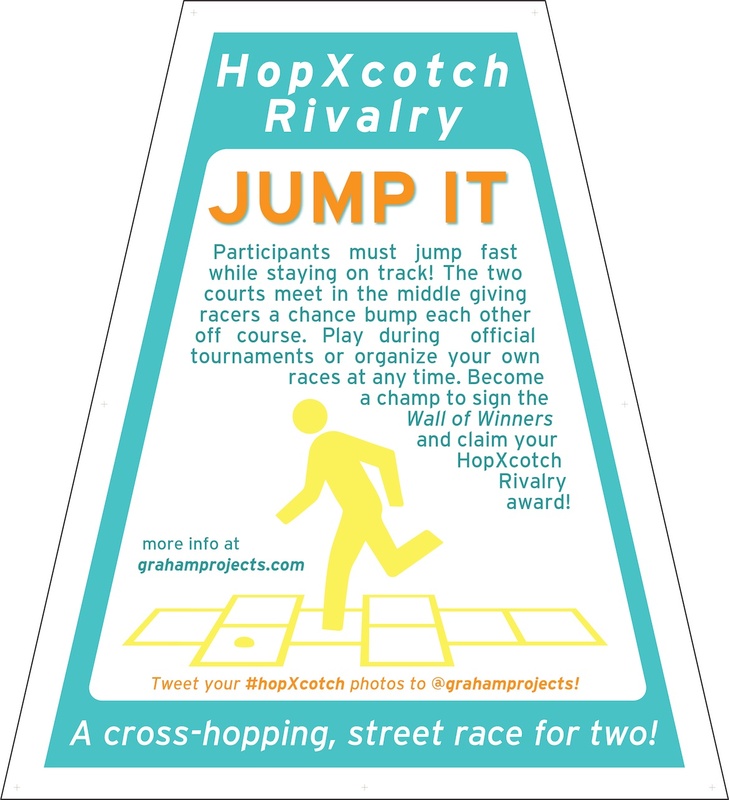 Participants will start at competing ends of the yellow and teal hopscotch paths and must jump fast while staying on track. The two 50’ long courses meet at the middle, presenting an opportunity for racers to bump each other of course. The easy-to-understand and play game will be enhanced with organized hopscotch tournaments at scheduled times throughout the Artscape weekend. 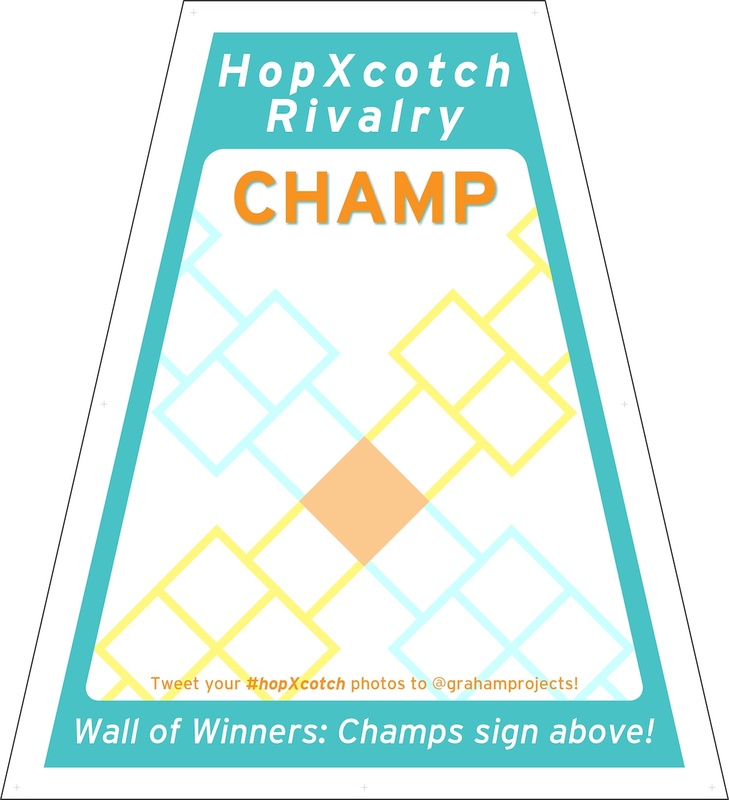 Interested in helping out with SiteLines or HopXcotch?